In this book nine talented painters contribute powerful interpretations of Middle-earth, each one accompanied by the text that inspired it. Artists include Inger Edelfeldt, Tony Galuidi, Roger Garland, Robert Goldsmith, Michael Hague, John Howe, Alan Lee, Ted Nasmith, and Carol Emery Phenix. Originally published by HarperCollins in 1992. If it is the author's job to paint word-pictures, few writers have accomplished the task more brilliantly than J.R.R. 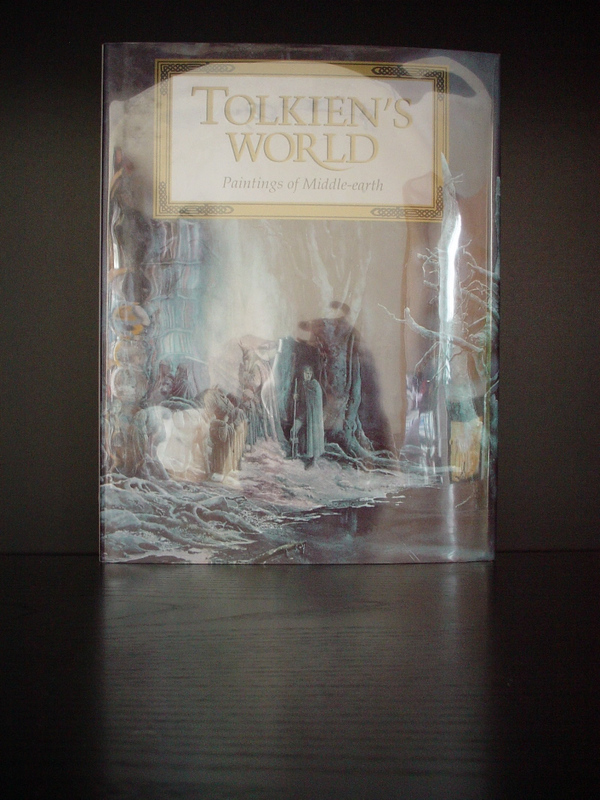 Tolkien, whose timeless fantasy classics have literally taken readers to another place. And what a place it is! The Middle-earth so graphically depicted in The Hobbit, The Rings Trilogy, and The Silmarillion is a breathtaking world of misty valleys and craggy tors, placid lakes and raging rivers, steamy bogs and glad green glades -- a magical kingdom inhabited by such unforgettable characters as the Great Goblin, Smaug the dragon, and the great wizard Gandolf. Small wonder this wonderland has provided such a rich source of inspiration for artists! In this book nine talented painters contribute powerful interpretations of Middle-earth, each one accompanied by the text that inspired it. Artists include Inger Edelfeldt, Tony Galuidi, Roger Garland, Robert Goldsmith, Michael Hague, John Howe, Alan Lee, Ted Nasmith, and Carol Emery Phenix. 8 1/4" x 11". Color illustrations..